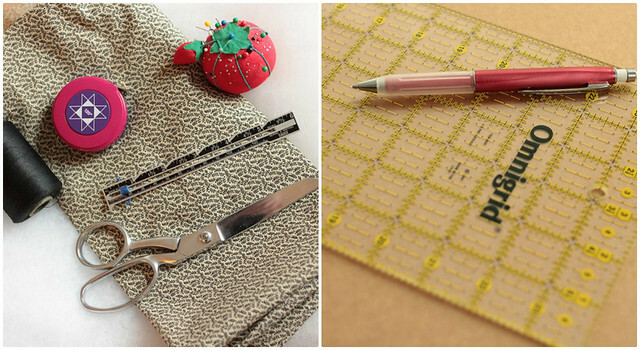 This sewing tutorial will show you how to make your own quilted fabric. This can be handy when you’re making things like hot pads, pot holders or ovenmitts and you need a lush quilted fabric to give you padding. 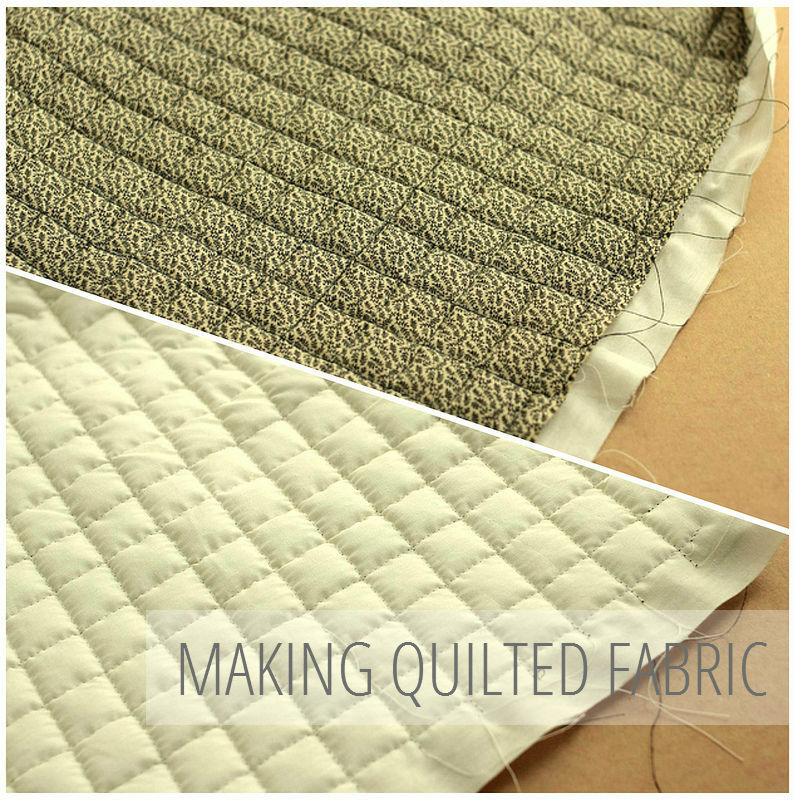 For quilted fabric, you layer cotton batting in between 2 layers of any cotton fabric and stitch them together. 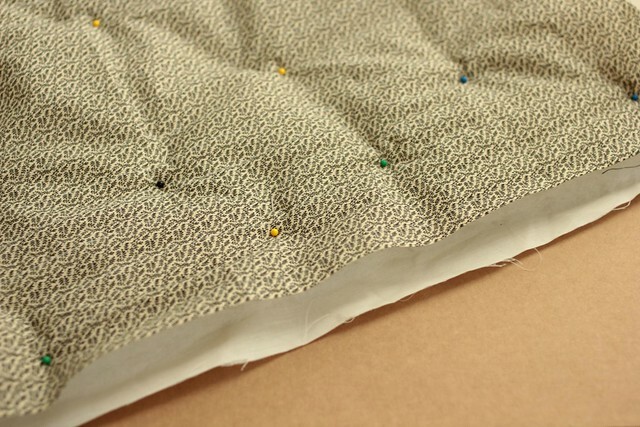 Making your own quilted fabric opens up your fabric possibilities if you’re working with a pattern that calls for it, so you aren’t limited to the selection of pre-quilted fabrics. Check out more of my Sewing How-To’s and Sewing Patterns. Use your clear ruler to draw a set of lines at a 45 degree angle from the corner of your main fabric, on the right side of your fabric. I spaced mine about 1” apart, but look at your batting to see the recommended width between quilting. Then draw perpendicular lines to your first set, with the same width spacing. Next, layer your fabric and batting to make a quilt sandwich. 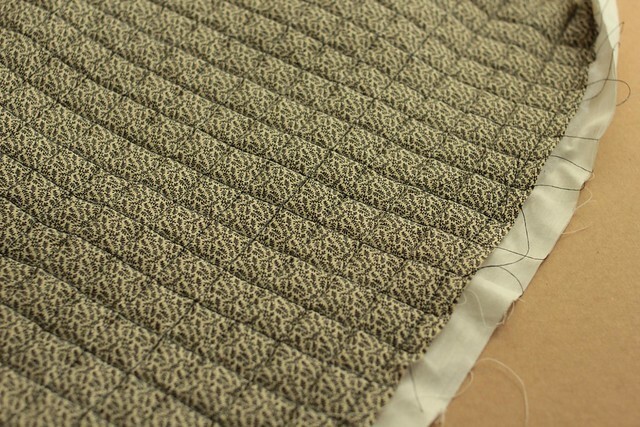 The backing fabric goes on the bottom (right side down), then the batting, and the main fabric on top, right side up. 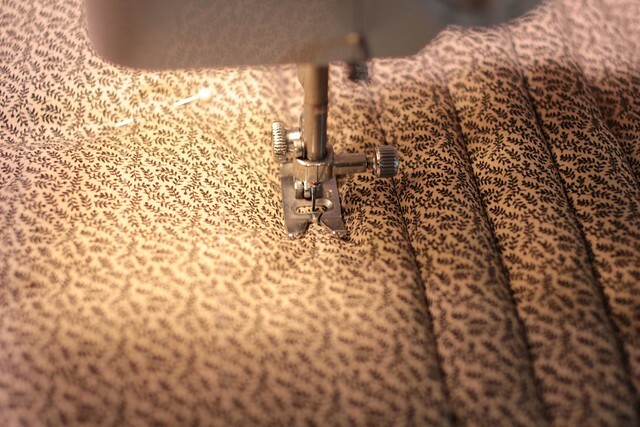 You should be able to see the lines you just drew on your top fabric. Pin all layers together with safety pins. Stitch along one set of lines, using a slightly longer stitch length (3mm or setting 3) to reduce any puckering. Next, stitch along your second set of lines, perpendicular to the first, creating a diamond pattern. That’s it! You’re all done. Now you’re ready to use your quilted fabric in your next project. This sewing tutorial is one of the techniques that is used in my sewing patterns. My sewing patterns and tutorials are written for beginners and are easy to follow. They’ve been thoughtfully designed and thoroughly user tested, to make sure anyone can pick them up and easily make their garment or accessory. Each pattern comes with a booklet full of easy to read instructions and pictures at every step. 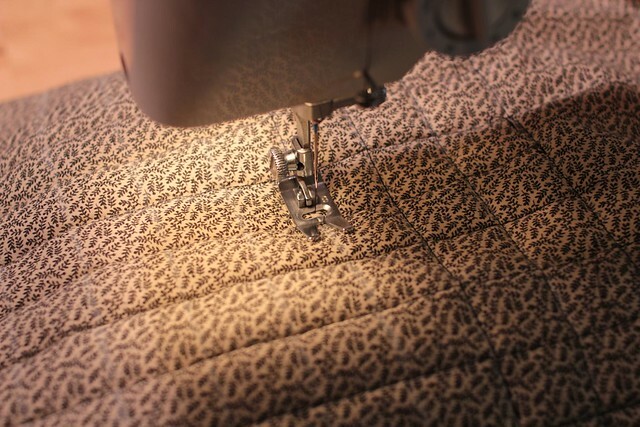 This quilted fabric technique is used in patterns like the Chicken Potholder.